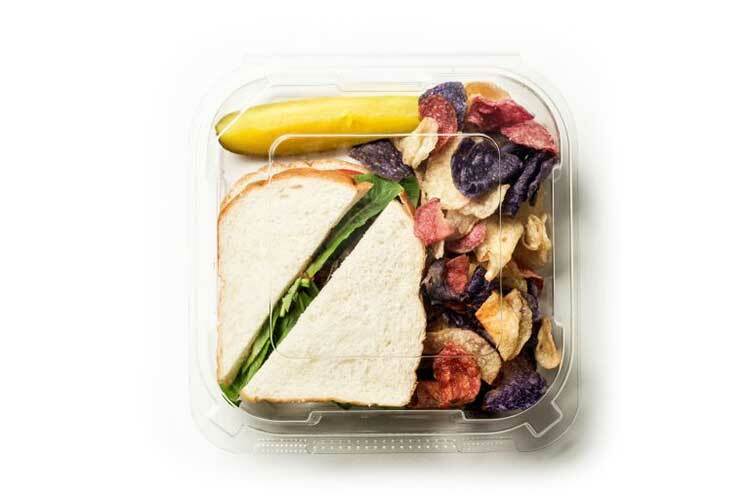 Packaging can make or break a meal. I could not have said it better. Sustainable trends in food packaging. It seems packaging is constantly in the cross hairs, but there is no doubt the packaging industry is making great strides in reducing the amounts of materials used while still producing a functional part. The bullet points midway through this article really tells a compelling tale. QR Codes are popping up everywhere. I don’t know about you, but I really like these little things. They make it very easy to inform customers about topics regarding a product. I was asked the other day, what some of the trends are in the food packaging industry. We get these questions from time to time from our customers. Presumably to make sure their packaging choices are staying up-to-date, or perhaps they want to buck the current trend and go with packaging that may be “retro” or against the grain (I like those). Either way here’s what we told them in no particular order of importance. 1. Product light weighting. I think anybody who drinks bottled water has noticed the bottle has gotten really thin. You can especially tell when you open the bottle and allow it to pressurize. Does it leak or tear or break in any way. Not at all. Did I still get my 12 ounces of cold refreshing aqua? Yes. This might seem minor to the average Joe out there (and that’s what the bottlers want to happen), but it saves millions and millions of pounds of raw materials annually. Subsequently, cost is being taken out of the supply chain. The manufacturer of the bottles are paying less due to the decreased raw material usage and they in turn past savings on down the line. Now, does all of that savings end up with the consumer? Good question. Has your bottled water price gone up, down or stayed the same? Now we don’t produce water bottles but we do produce many other food packaging items and have been asked by some of our customers to lower part weights. This is obviously to lower the overall part price. In some instances that’s not too hard to do, but I want to caution you on this practice. 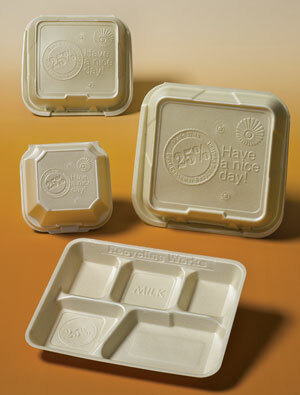 For example let’s look at our foam hinged containers. We have been asked and in fact have taken weight out of some select items. In each case we’ll create a new part number with the new weight and keep the current number and part weight for those customers who do not want to reduce the weight. In many cases, customers will ask for reduced weights to meet competitive pricing situations where a competitor has offered a lower weight item. All this is fine and dandy. But sometimes I think it is easy to be seduced by the lower price of the light weight parts and start to use them for other, existing business where a lighter part might not work as well. A full meal of say lasagna may really tax I light weight version of a foam hinged container whereas the standard weight had been working well all along. The moral of the story here is you do get what you pay for. It’s best to test first before committing full speed ahead on a light weight project. As always, all you really need to do is pick up the phone and call us, or shoot us a quick email with your question. One of our food packaging professionals will contact you within 24 hours. 2. Smaller overall package profile. I think in many ways this relates right back to light weighting products. A smaller food package profile could translate into a lower price point. There certainly are advantages to a smaller profile. If your particular use for food packaging is going to end up on a supermarket shelf, a smaller profile will enable you to put more packages on that shelf. A smaller profile might also enable you to put an additional sku on that shelf with your brand name. For example, let’s say you sell cookies that come in a clear hinged container big enough for a dozen cookies. That supermarket is perfectly happy with placement with the rest of the cookies and bakery items of similar size and portion. But, if you could reduce the footprint of that hinged container to something smaller (I’d recommend our small hinged delis) and reduce the number of cookies where your product could now also be marketed in the 100 calorie isle, you’ve just doubled your exposure. That might not be the best example, but you get the idea. Once again, we can help with any food packaging scenario. 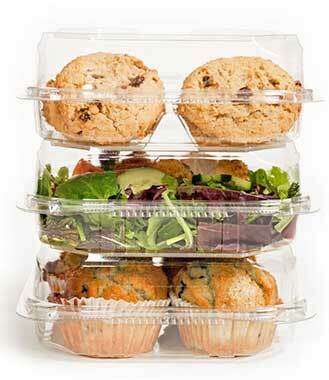 In fact some of those deli containers I mentioned earlier are a direct result of such a situation. 3. Optimized product visualization. What this means is that food manufacturers want to give consumers the best opportunity to see their product within its package. In many instances, this means taking what we call “side flutes” out of the design. If you look at one of our foodservice lids you’ll notice the flutes going vertically on the lid. These are designed in to give the lid strength. 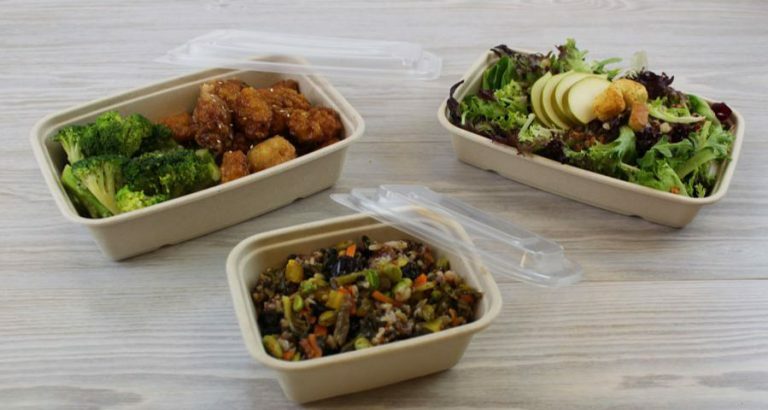 Many times restaurants will stack meals to go one on top of the other when packing them into their take-out bags. The lids need to be strong enough to hold that meal being placed on top. By adding this geometry to the sides, we can accomplish this strength without the need to add more material to the part (lower part weight). The trend now though is to remove side flutes in favor of increased visibility. Not so much on lids like this, but rather complete packaging you might find at the supermarket. Fortunately, your friends at Genpak have a solution. Our line of Supermarket Containers fit this description to a t. Notice the elimination of any such fluting that would detract from product visualization. Same goes for the lids we offer for this line. In fact, you have probably seen and used one of our containers as we have many food processors that utilize these great packages for their product. They are produced from #1 recyclable PET and contain up to 40% post consumer recycled content. So they fit the optimized visualization profile as well as have a nice environmental story to tell. Alright, I know that food packaging trend report turn a little into a Genpak sales pitch, but hey, it’s my blog. And hopefully you did get some good knowledge from reading it.